Lift, ramp, or neither depending on your situation and experience. WARNING: Engine oil may be very hot and burn your skin. It does not feel good in the eye's regardless of temperature. Collect your oil and dispose of it properly. 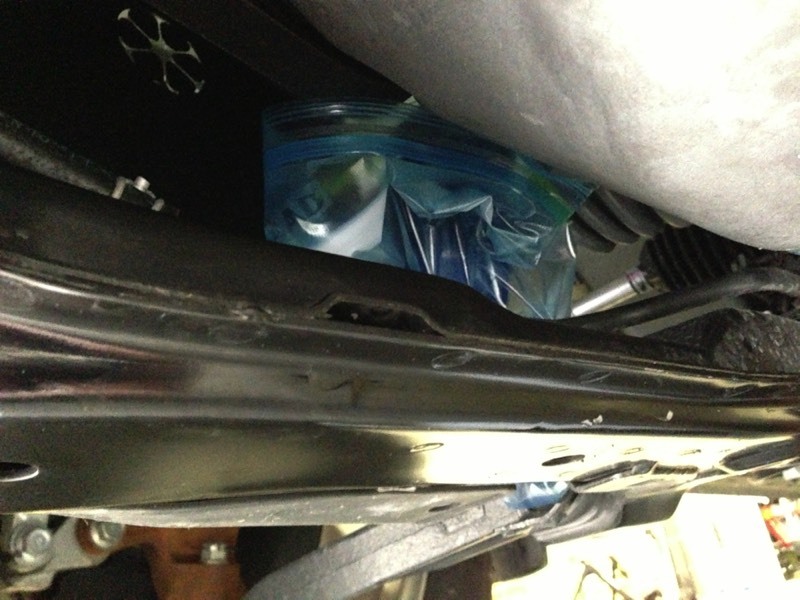 You will need to secure your truck so you can access the underside of the engine compartment to drain the oil and change the oil filter. There are many ways to accomplish this safely. You should always seek the advice of an expert and always make sure that safety comes first. Without safety, there will not be a next oil change. 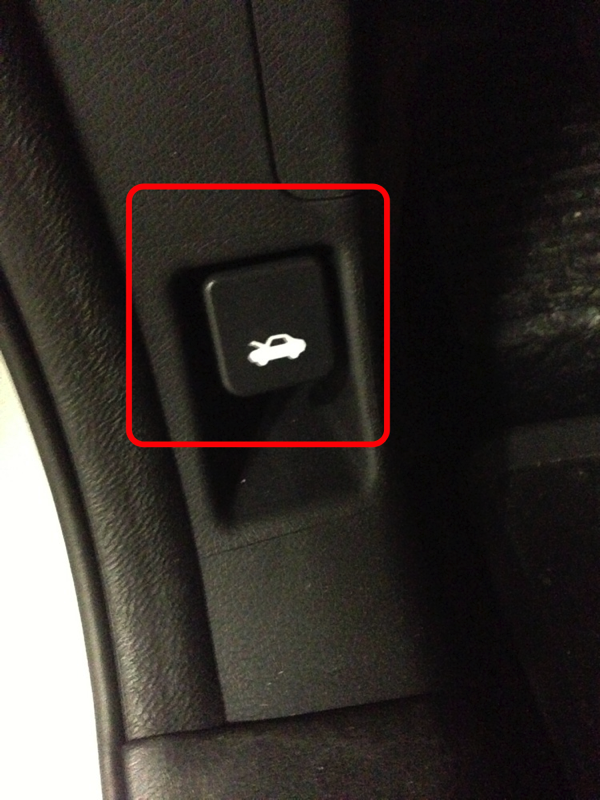 There is also the option of turning your steering wheel all the way to the right. You can use a quart size Ziploc bag to catch the oil from the filter upon removal. This would not require a lift or stands. 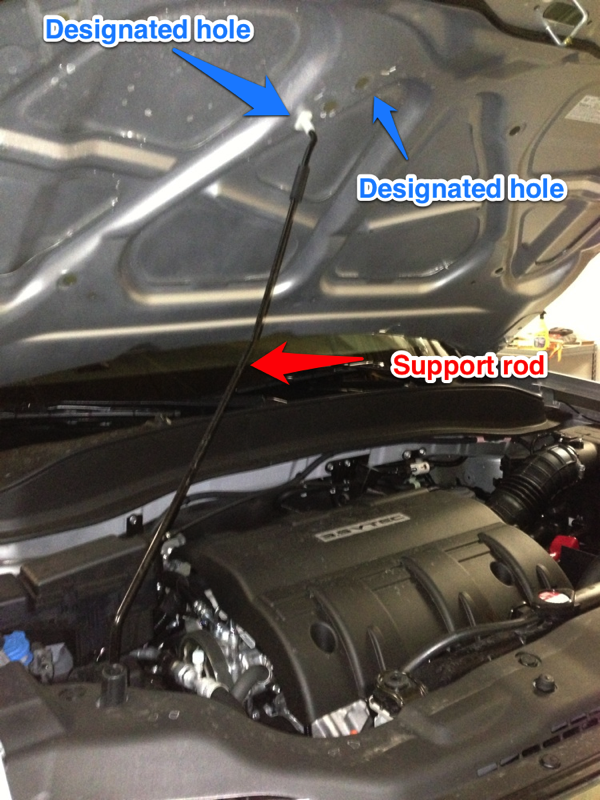 Remove the drain bolt (17 mm) AND washer on the underside of the truck. 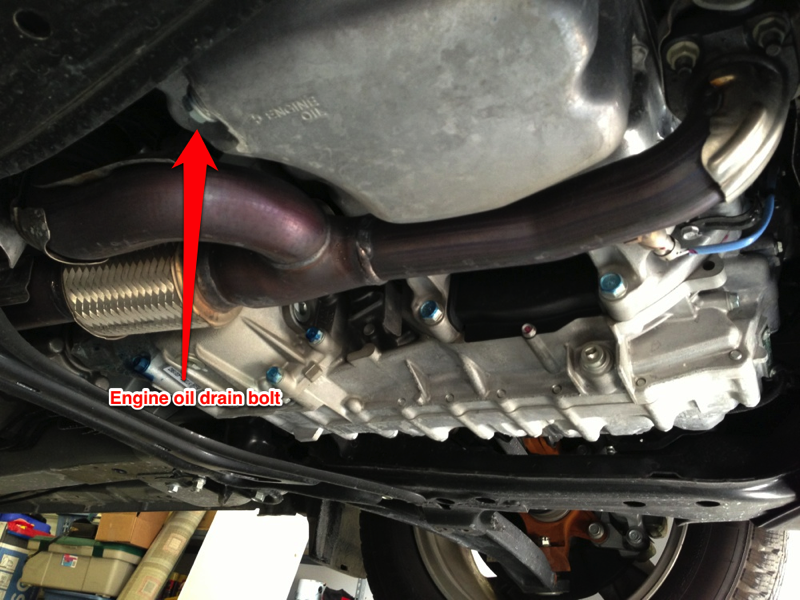 Be ready for engine oil to come out the instant the drain bolt is loose. Once the oil has stopped draining, take a paper towel or rag and clean around the drain hole. 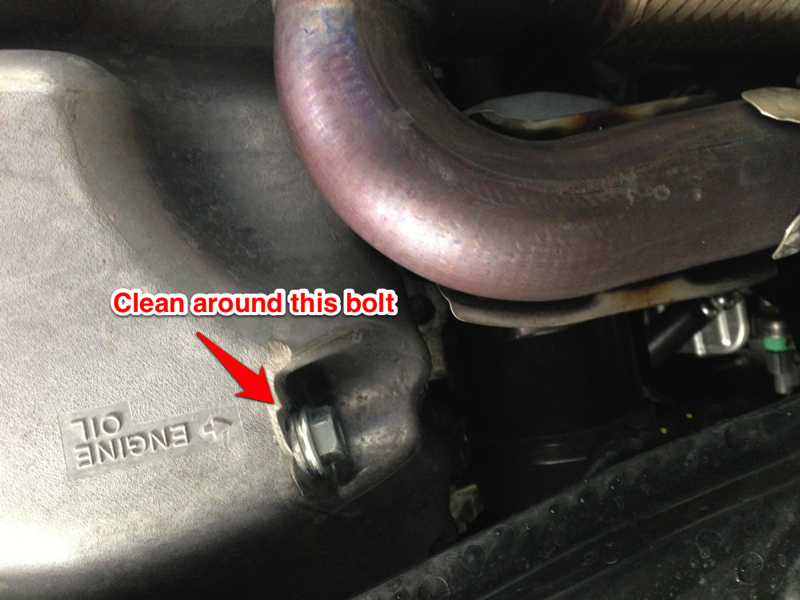 Put a NEW washer on the drain bolt and reinstall drain bolt. Tighten to 39 N-m (29 ft-lb) (Page 326 - Ridgeline Owner's Manual or Ridgeline Service Manual 8-6). Remove the oil filter. Use an oil filter wrench or if you are king kong do it with your bare hands. You may want to break it loose first, then place a large zip lock bag over and around the filter to catch all the oil as you remove the filter. It is a great idea for keeping the ground much cleaner beneath you. Inspect the new oil filter. 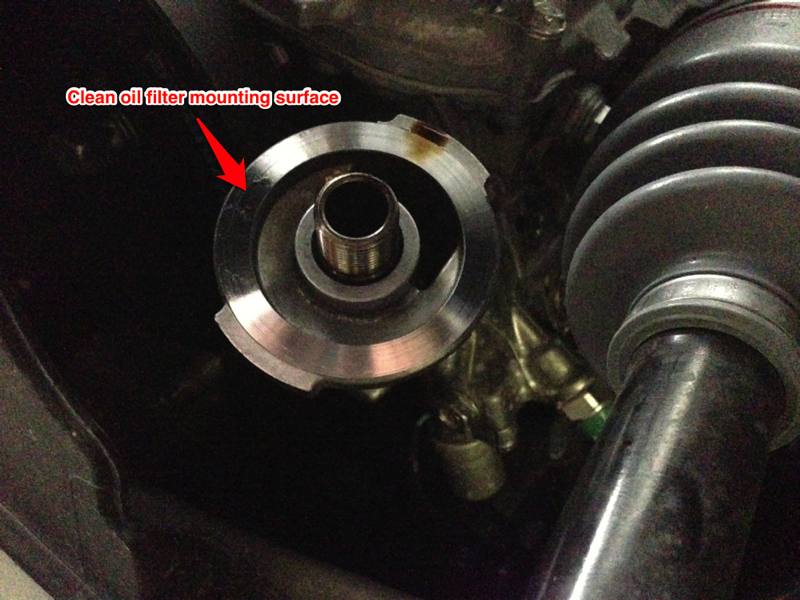 Apply a very thin coat of new engine oil to the rubber seal on top of the filter. Using a paper towel or rag wipe down the seat on the engine block. Install the oil filter by hand until it is snug. 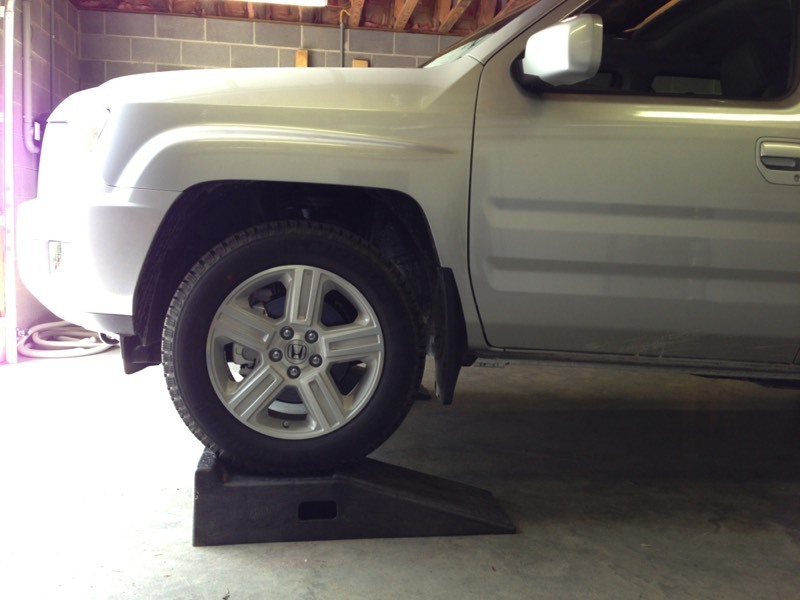 Use an oil filter wrench to tighten the filter 3/4 turn passed hand tight or to 12 N-m (8.7 ft-kb) (Page 326 - 2013 Ridgeline Owner's Manual or Ridgeline Service Manual 8-7). 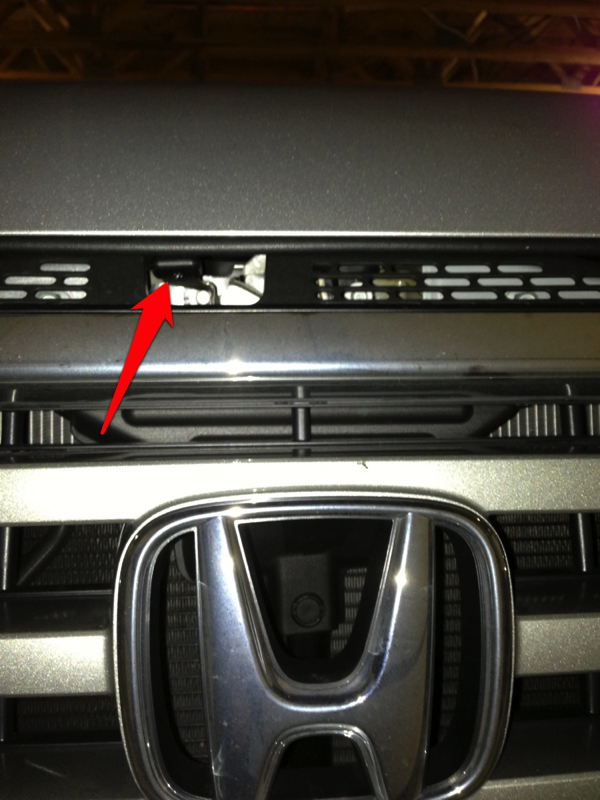 The service manual clearly states to use only filters containg a built-in bypass system (Ridgeline Service Manual 8-7). Some people fill up their oil filter with oil prior to installation and some don't. Take your pick. Back up top in the engine compartment, find the engine oil fill cap. On the cap should list the type of engine oil the truck should use. Remove the cap and pour in the oil using a funnel. 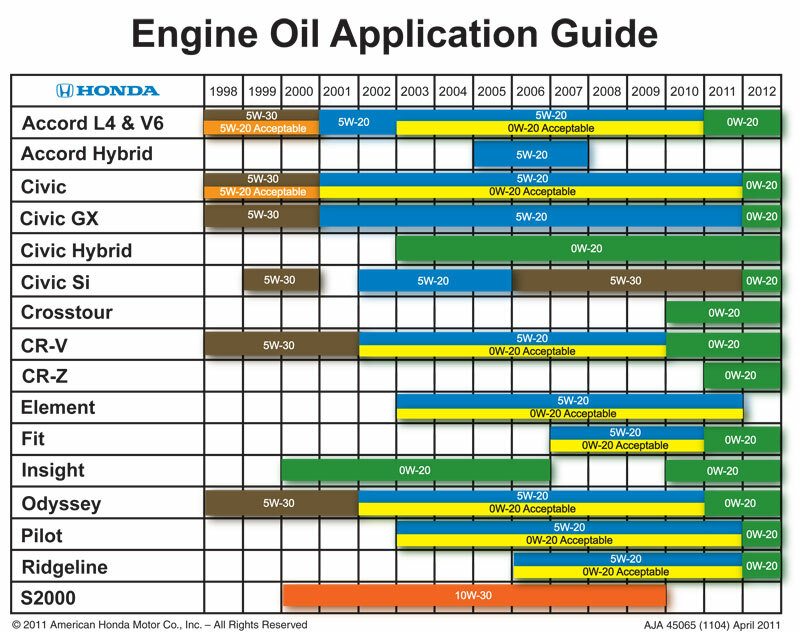 In the Ridgeline Service Manual 3-2 it list qualifications for engine oil. Just be sure you check your owners manual and/or engine oil fill cap to ensure you are using the correct oil. The 2013 Ridgeline Owners Manual, Page 324, calls for 0W-20 engine oil. Earlier model Ridgelines may specify something different. The last page of the 2013 Ridgeline Service Manual list 4.5 quarts of engine oil. 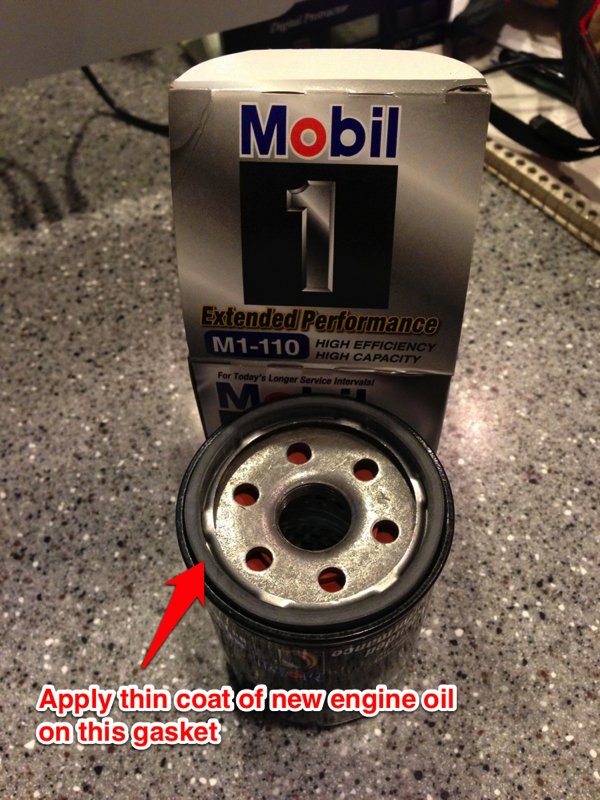 Remember, if you put some oil in your oil filter, it counts towards the 4.5 quarts. 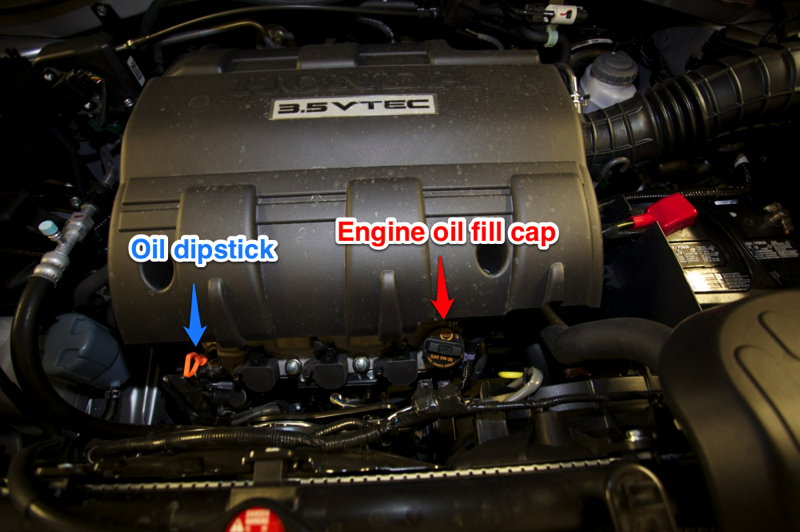 When finished, replace the engine oil fill cap. Important note: Honda has back dated the specification for the Honda Ridgeline allowing the use of 0W-20 oil as an alternate to 5W-20. Start the truck and let it run for 30 seconds or so. Would be a good time to back off a set of ramps or get to level ground during this time. Turn off the truck and let it sit for several minutes. 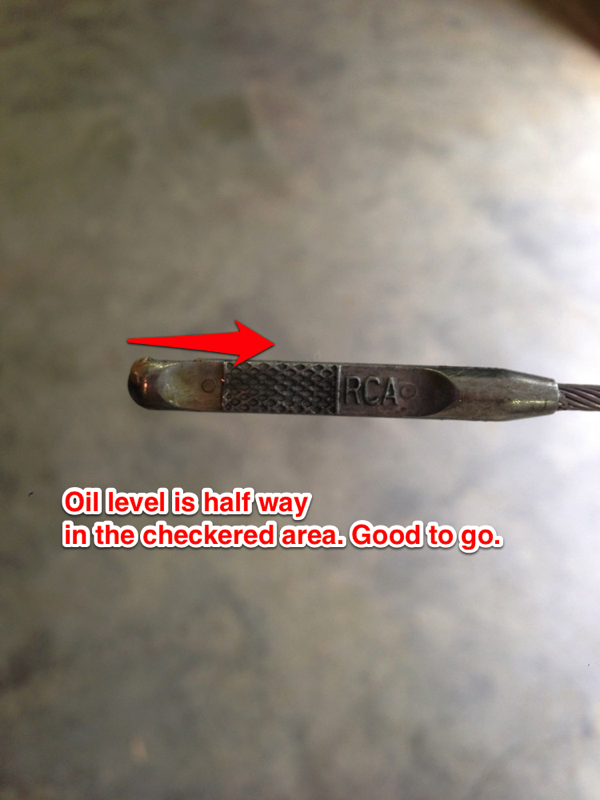 Be sure you are on level ground when checking the engine oil. Check your engine oil level. Add more oil if necessary. Now reset the oil indicator.